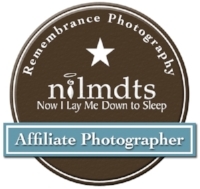 Birth and lifestyle photographer from Morden Manitoba documents your birth and is available as a trained and experienced birth doula. Let birth photgraphy capture the most miraculous day of your life! You are about to experience some of the most important moments of your life! You've captured the engagement, you have beautiful images of your wedding day and now you can have everlasting memories from the day of your child's birth, to remember and cherish for a lifetime. Tiny toes, your partners support, when you first meet your new baby. These moments can be lost in the emotional haze of labour and delivery, let me capture all of the details to fully tell your birth story. Let your partners hands and attention be on you and I will take care of the picture taking. As a birth doula, I am educated and experienced in the birthing process, I am well versed in hospital policy and can work with you health care professionals. Contact me to have an in person meeting to discuss your hopes and dreams for your baby's birthday. - a free maternity session so your family can become comfortable with me before your delivery. - We will have at least one in person meeting to discuss your birth plan and what your hopes and expectations are for my role in your birth. - I will be with you during your labour, birth and for a short period following the birth. As a doula, I accompany the parents to assist with the birth experience. I draw on my knowledge and experience as a doula to provide emotional support, physical comfort and, as needed, communication with other caregivers to make sure that you have the information you need to make informed decisions as they arise. I can provide reassurance and perspective to you and your partner (if present), make suggestions for aiding progress, and help with relaxation, massage, positioning and other techniques for comfort. I am independent and self-employed. As your doula, I am working for you, not your caregiver or hospital. - Two prenatal visits so we can get to know each other, organize your desires for your birth and create a visual birth plan. - Continuous labor support at your home and / or at the hospital until 1-2 hours after delivery. - Email, phone and text support from when you hire me and during your postpartum period. - 1 postpartum visit to go over the birth and answer any questions that you have. Have some questions? visit our FAQ page!